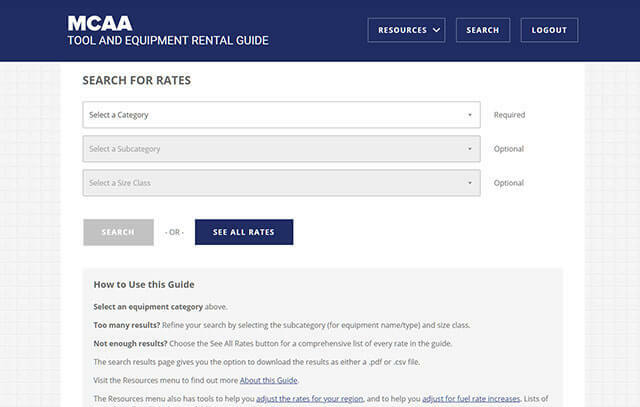 MCAA members can now access our Tool and Equipment Rental Guide via an enhanced web portal. There you can refine your search to find what you need quickly. A list of all rates is also included. Regardless of how you view them, search results can be downloaded as either a .pdf or .csv file. When we have updated content, our web portal can be updated behind the scenes. Of course, we'll let you know when that happens so that you can update your systems. To go to the web portal, click the giant blue button below! MCAA members can now search for rates using an enhanced web portal. Narrow your search results using various filters, or see a comprehensive list of every rate in the guide - the choice is yours! Results can be downloaded as either a .pdf or .csv file. 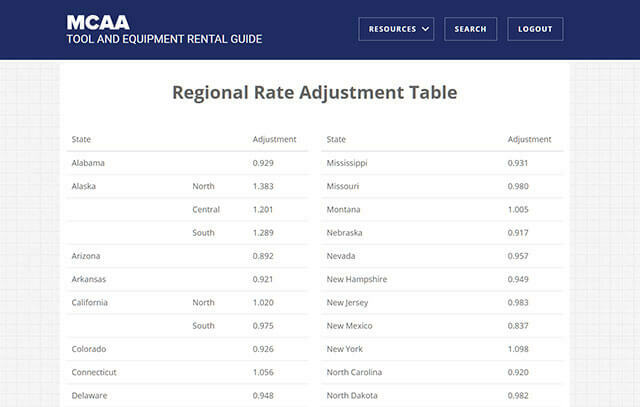 Need to adjust the rates for your region? No problem! The Resources menu includes a tool to help you do this, plus lists of typical tools and expendable items. 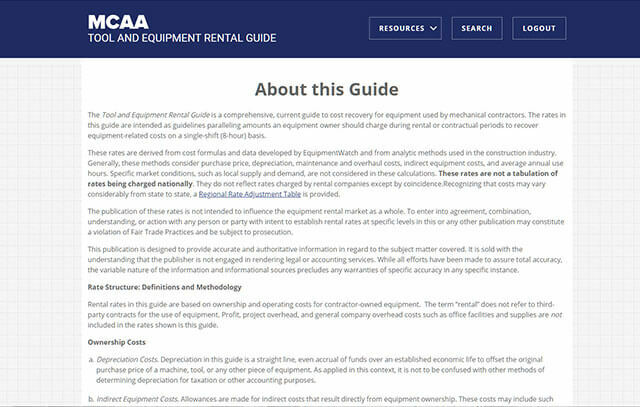 The rates in MCAA's guide are developed by EquipmentWatch, the industry leader in equipment data. So click on the blue "Go to the Guide" button above to check it out!